Are Peanuts Safe for IBS? Debunking aflatoxin myths. | Ignite Nutrition Inc.
Are Peanuts Safe for IBS? Debunking aflatoxin myths. Home » Blog » Are Peanuts Safe for IBS? Debunking aflatoxin myths. 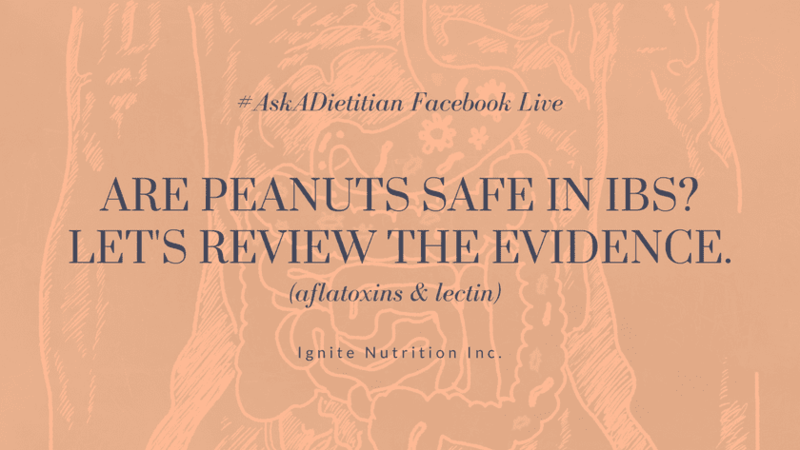 I have had THREE questions this last week on the safety of peanuts – not just from an IBS perspective – but from an overall health perspective. I understand that there has been some misinformation put out there about the safety of peanuts – specifically in regards to aflatoxin. While aflatoxin (a class of toxic compounds produced by certain types of moulds commonly found on nuts and corn) is a very serious issue – it’s usually only an issue in developing countries due to food storage, agriculture processes, limited access to safe food, and food preparation methods. Yes – exposure to aflatoxin can damage your liver and lead to liver cancer – ESPECIALLY in those with hepatitis – a condition quite common in developing countries. YES. More needs to be done about it. However, this doesn’t mean YOU are at risk here in North America. Our food system is HIGHLY regulated in Canada (and any developed country). In fact, there is very little chance you would be exposed to even minute (we’re talking ‘parts per billion) levels of aflatoxin in any Canadian food products. I talk about this specifically in the video – and what we need to consider. GUYS. I get it. We often a) give food more credit than is due and b) assume restriction is the answer to our health problems. 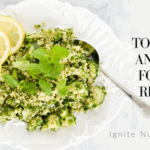 The challenge I find is around FOOD FEAR. If people are making food sound like it can KILL you – that’s a red flag. Rarely is nutrition and health simple or black and white. 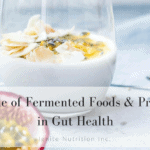 However, it IS clear that our fears around foods, health, and our restrictive eating behaviours negatively influence our microbiome. While studies in animals hold promise, we DO need to take into account that they’re only preliminary and we can’t base nutrition information or guidelines off them! If you need help discerning whether a study is appropriately done – ask your health care provider. We can help to explain what about a study is well done, and what factors need to be considered. Anecdotal ‘evidence’ is not evidence as hopeful or as relatable as it may be. One study is NOT enough to change how we eat – we need more data. Beginning your critical thinking when looking at research is KEY to not falling trap to restrictive eating behaviours and food fears.